PORT RICHMOND (WPVI) -- Authorities have arrested a man accused of shooting and killing his aunt in her Port Richmond home. U.S. 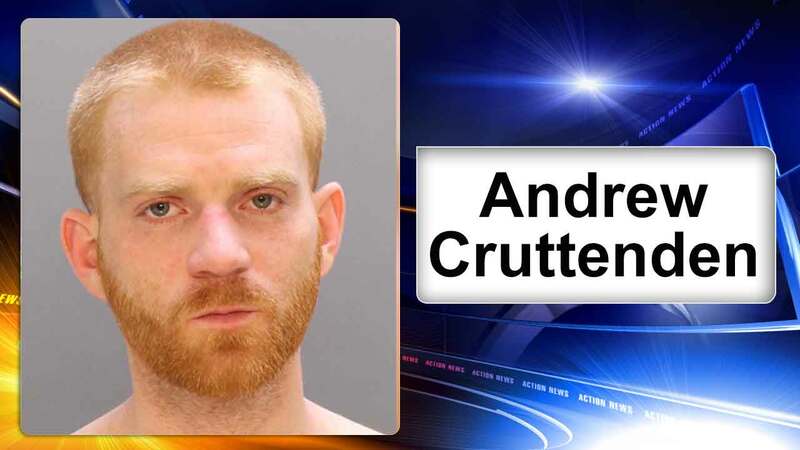 Marshals and Philadelphia Homicide Detectives took 26-year-old Andrew Cruttenden into custody around 4:30 p.m. Tuesday in the 2200 block of North Colorado Street, Action News has learned. He has been charged with Murder, Burglary, Robbery, VUFA, Criminal Consporacy and related offenses. Andrew Cruttenden's girlfriend, 36-year-old Michelle Waclawski, was also taken into custody for her involvement in the murder; she is charged with Burglary, Criminal Trespass, Criminal Conspiracy and related offenses. Authorities say Andrew Cruttenden robbed and shot 57-year-old Virginia Cruttenden inside her home on the 3200 block of Mercer Street. Neighbors say the victim's son found her lying unresponsive on the living room floor around 4 p.m. Friday. "The son came home from work. He came running outside all upset, screaming and ranting and raging that someone had killed his 57-year-old mother," said Kevin, neighbor. Virginia Cruttenden was pronounced dead on the scene at 4:20 p.m. Police say she had been shot in the head. Reluctant to talk, Kevin chose not to show his face, but says he lives across the street from where the fatal shooting took his neighbor's life. A flood of cop cars and yellow tape swarmed the block Friday evening. "She was suffering obvious trauma to her head. She was also laying in a pool of blood," said Chief Inspector Scott Small. Homicide detectives quickly discovered the second floor of the victim's home had been ransacked. Family members reported several items, including various electronics, were missing. They stood silently as the medical examiner removed their loved one's body. Virginia Cruttenden was last seen alive Friday morning. It's unclear of the exact time the deadly encounter occurred, or how long she had been dead before she was found. "She didn't deserve this. She walked with a cane. Why would somebody want to hurt her?" said Kevin.